This statistic shows the results of a survey among Americans aged 50 years and older. 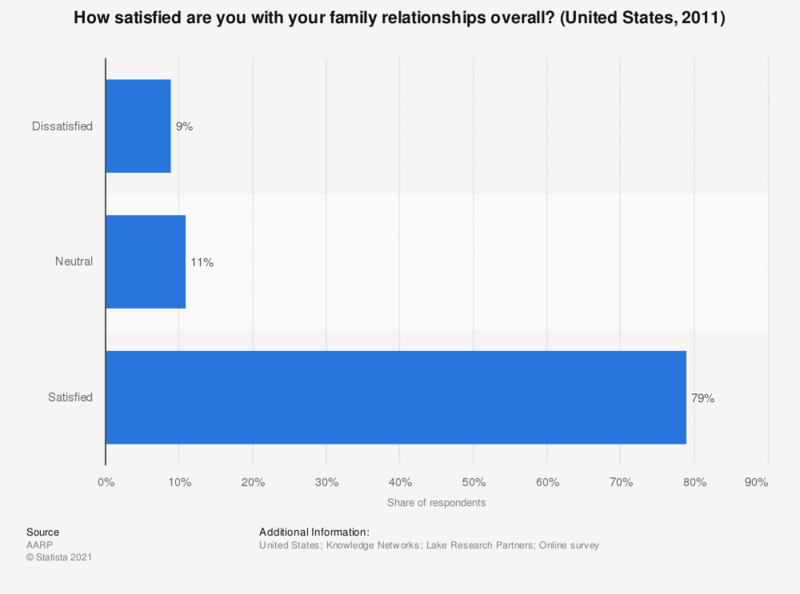 The survey was conducted in 2011 among 2,261 respondents, asking them about their satisfaction with their family relationships. In 2011, 79 percent of the respondents answered that they were perfectly satisfied with the existing relationship between themselves and their families. 9 percent answered that they were dissatisfied. The source posed the question as follows: "In general, how satisfied are you with your family relationships overall?"